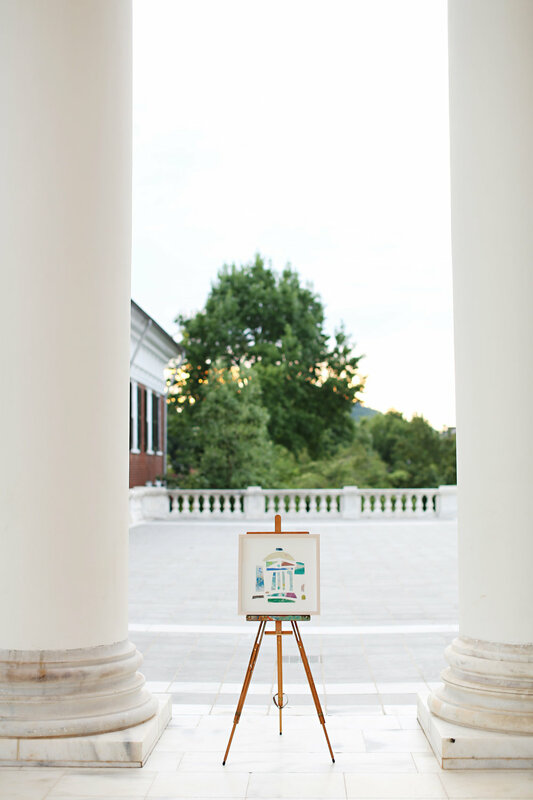 200 limited edition works // 10% of each sale donated back to UVA // 200 years of The University commemorated. A collage of shapes made out of my hand painted canvas and crafted into a vibrant version of The Rotunda. P R I C E $1000 // SIZE 17-1/4 x 17-1/4 inches. 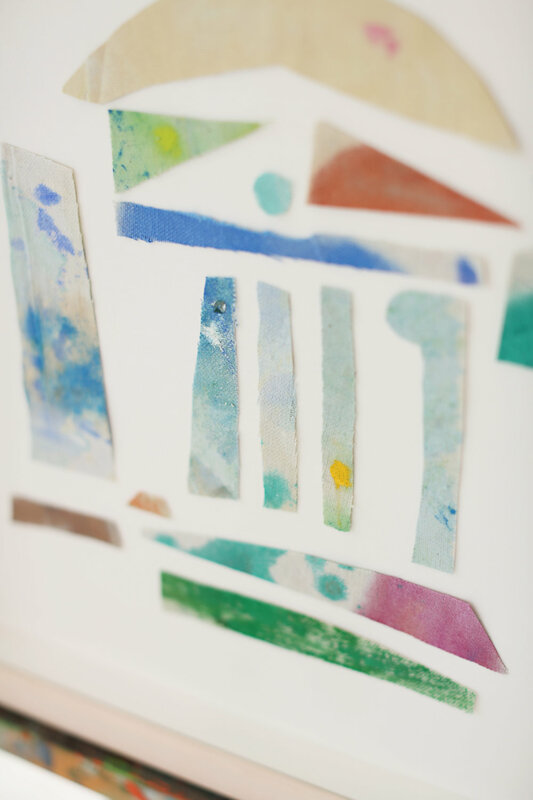 Medium - Mixed media collage. Framed in a neutral beach wash frame with a linen float and museum glass. PLEASE NOTE - each piece is an original and colors will vary from the piece pictured. There are a limited number of Collage Rotundas available at any given time.